A few years ago I was with a tour group on the Triangle, an almost featureless area of Serengeti’s short-grass plains. It was late morning. 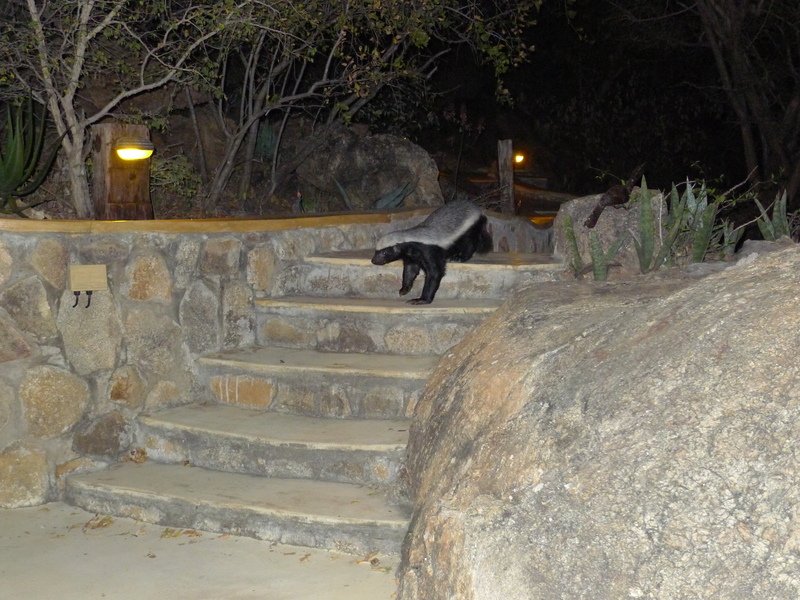 We saw a speck moving towards us from the horizon, and as it neared us, we saw that it was a honey-badger. Without slowing at all, he relentlessly careered towards our land-cruiser, and flung himself at a front wheel with ferocious snarls and growls, repeatedly biting the tyre. Having beaten us into submission, he continued lolloping along his solitary path from nowhere to nowhere.